Orthodontists do more than cosmetic work. They also improve the look of your smile and your overall oral health by straightening your teeth and aligning your bite. Crooked teeth, crowded teeth, overbites and underbites can all lead to tooth decay, gum disease, and even tooth loss. With these possibilities, finding an orthodontist near Caldwell, NJ that’s right for you is of the utmost importance. Dr. Matthew Milestoneand the team at Milestone Orthodontics can help you get the perfect smile at an affordable cost. At Milestone Orthodontics, we are experienced in a wide range of orthodontic treatments to help our patients get a smile that is healthy, confident, and beautiful. Dr. Matthew Milestone can correct any dental issue using appliance technologies such as braces, trays (also called aligners), retainers, and orthodontic headgear. A recent breakthrough in orthodontic treatment is Invisalign aligners; clear, removable braces (or aligners) that are a comfortable, more attractive option to metal braces. Milestone Orthodontics has helped hundreds of patients near Caldwell, NJ, improve their smiles with Invisalign. Children and teens are not the only patients who can benefit from orthodontic treatment. According to the American Association of Orthodontists (AAO), one-in-five orthodontic patients is an adult typically ranging in age from 26 to 44. Orthodontists complete four years of dental school and then continue their education with two-to-three years of focused study. Dr. Matthew Milestone and Milestone Orthodontics are specialists in the field of orthodontia, and they perform advanced orthodontic procedures that general dentists simply don’t have the education or experience with. 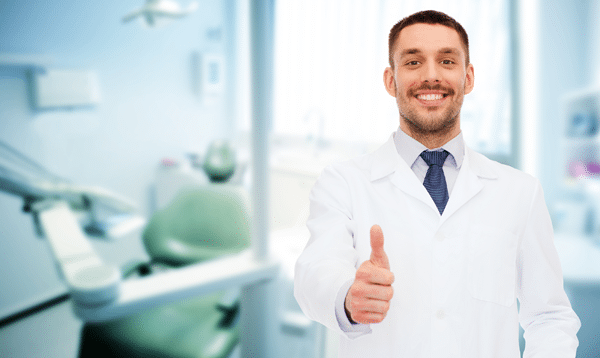 Many orthodontists promote their professional affiliations on their websites, business cards, or on their office walls. Feel free to ask the receptionist, office manager, or doctor for their certification verification. Professional orthodontists are certified by the American Association of Orthodontists (AAO) or the American Board of Orthodontics (ABO). Choose an orthodontist like the specialists at Milestone Orthodontics near Caldwell, NJ. If you’re looking for an orthodontist near Caldwell, NJ, ask around. Ask your general-care dentist, your primary care physician, or your child’s pediatrician for recommendations for orthodontists. Get advice from your family, coworkers and friends. Inquire about their personal experiences. With a few tips like these, you can make the process a little bit easier. Do some research to learn more about orthodontics and common procedures, like the benefits of braces and Invisalign. Read some reviews about the orthodontists you have found to see what other patients have said about their experiences. Narrow your search to three orthodontists at a time and look online for more information about each of them. Make a list of questions you have before you consult with an orthodontist in person. Bring the list with you to make sure you cover each topic. Ask about the technology the orthodontist uses in their procedures. Do they use digital X-rays and paperless records? Be sure you are comfortable with the orthodontist and the office staff. Orthodontics work is personal treatment. The right doctor is one that you trust and with whom you feel at ease while in the office. Commit yourself. Orthodontic procedures take time to be successful. Active orthodontic treatments may take up to 2 years or more. You may also need up to 2 years of follow-up visits. Ask about payment plans that may be available through your orthodontist. Talk with the orthodontist and your insurance provider to find out if braces, Invisalign or other orthodontic procedures are included in your dental insurance plan.